If those words take you back to 1955 and the song of the same name, sung by one Richard Wayne Penniman, better known perhaps as Little Richard, then you’re older than I thought. Tutti Frutti means “all fruits” in Italian and I mention this because we have fruit wines in our glasses today – at least that’s their technical description. Let me try to explain, so sit up and try to look as though you’re interested. A week ago, I had a mildly heated discussion with someone who was convinced that the Peter Vella wine boxes he buys in Thepprasit Road were imported from California. Glancing at one of these, you’d be forgiven for making this mistake, because the label says Peter Vella Smooth Red or something similar. However, look at the small print and you’ll see the words Fruit Wine. These words indicate that fruit other than wine-grapes was used in the blend. You’ll also see the name World of Wines which is actually a division of Siam Winery, here in sunny Thailand. So what we have is a genuine Californian wine, blended with local fruit wine. This possibly makes the product more appealing to local taste but more important for us, it also enables the company to sell it for less than Bt. 300 a bottle, or Bt. 799 per box. Siam Winery of course is the highly successful firm that not only produces some fine Thai wines, but also makes Mont Clair, that good old work-horse wine of all the bars and cheap caffs in town. The base wine for Mont Clair wine is imported in bulk from South Africa and then blended here in Thailand with fruit wine. 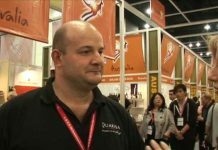 Pretty much the same approach is used with other World of Wines products, such as Mar Y Sol (Chile) and Berri Estates (Australia) to name but two. You’ll always see the tell-tale words fruit wine somewhere on the label. Now, don’t get me wrong because I have nothing against these wines, especially when they are well-made. Now that the local taxes have pushed the price of grape-wines sky high, I’m jolly glad that Siam Winery is producing something which is both drinkable and affordable. The two bottles of wine this week give every impression of being French. 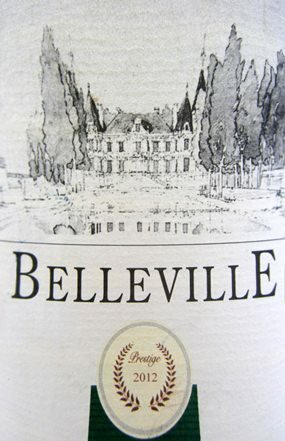 They have a French name and the front label shows a tasteful aquarelle of a building which has more than a passing resemblance to a château. The foil on the bottle carries the legend “VMV – Vignerons Du Mont Ventoux”, a cooperative based in Bédoin which is a commune in the Southern Rhône Valley. However, in minuscule print (and you might need an electron microscope to read it) the label also says that the wine was bottled in Vietnam by the jauntily-named Dalat Beverages Joint Stock Company. Hey, just a minute. Bottled in Vietnam? The back label also carries the words “fruit wine” so there’s a ring of familiarity to all this. It doesn’t require the investigative skills of Sherlock Holmes to deduce that the base wine is almost certainly shipped in bulk from France to Vietnam, where someone at Dalat Beverages then blends it with local fruit wines. But don’t let this put you off, because they’ve done a good job. If you need a couple of easy-drinkers for under Bt. 300, these two wines could fit the bill. If anything, I think they are marginally better than some of the competition, but you’ll have to judge that for yourself. You might be surprised to know that there is actually a wine-growing culture emerging in Vietnam. During the late nineteenth century, French colonists planted vineyards in the highland areas near Hanoi, but it wasn’t until the late twentieth century that wine-making really started to get going. In 1995, Vietnam began a joint venture with Australian winemakers, which resulted in a massive planting scheme of international grape varieties. I think we’ll see interesting developments in the Vietnamese wine industry in the coming years. 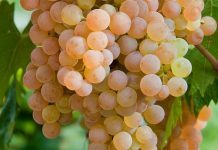 No one really knows where the Viognier (vee-oh-NYAY) grape originally came from. It was once fairly rare, growing only in the Northern Rhône regions of France. 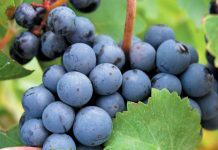 Some wine experts think it originated in Croatia, but the grape has become popular in an increasing number of countries. This pale straw-coloured wine has a rather creamy floral aroma of tropical fruit, with hints of dusty herbs. I thought I could pick up pears too, presumably from the Viognier in the blend. It has a very soft mouth-feel, hardly any acidity and a reasonable long and pleasant finish. The off-dry quality may appeal to those who don’t normally drink wine. It’s a pleasant little glugger, even though it has 13% alcohol content but I have to admit that the wine tasted a lot better than I expected. At this price it’s a terrific bargain and could make an excellent party wine. Although it seems to me very much a wine to drink on its own, it would probably work well with many Indian and Thai dishes as well as with light curries. This is an interesting blend of three well-known grape varieties and presumably a dollop of fruit wine as well. But you’d probably never guess it’s a fruit wine by taste alone. It’s is an inviting garnet-red and the Shiraz and Grenache in the blend seem to dominate the aroma with their peppery, spicy smells mingling with the rich black fruit. You might be able to sense – somewhere in the background – a kind of woody, brambly, earthiness. Perhaps that doesn’t sound too appetising, but it brings a certain depth to the aroma and actually smells better than it sounds. The palate is smooth and slightly seductive and there’s plenty of rich black fruit there too. As you’d expect, it’s a dry wine – perhaps half a degree away from total dryness, but it has an attractive balance and a pleasant layer of soft ripe tannin. In some ways it reminds me very much of a Southern Rhône though a bit lighter in body. This I suppose shouldn’t be too surprising, because that’s where the base wine comes from. It will probably taste at its best with food, rich red meat dishes, for example. And by the way, can you recall the lyrics of Little Richard’s song from nearly sixty years ago? They began, Tutti frutti, aw rooty, Tutti frutti, aw rooty, Tutti frutti, aw rooty, A wop bop-a-loo mop, a whop bam boom. Or something like that. As many scholars have noted, these profound words are some of the finest in the realms of English literature.